Prepare yourself for your day in court by acquiring an experienced attorney who is prepared to defend against your federal charges. The Umansky Law Firm houses Orlando criminal defense lawyers with experience handling federal fraud conspiracy cases. Trust us to keep your best interests at heart as we pursue a favorable conclusion to your criminal case. Fraud involves falsely representing facts to swindle money or something of value from another party. Conspiracy is a crime often charged alongside fraud. If one person devises a plan to commit a crime, he or she cannot be charged with conspiracy to commit fraud. The prosecution can only present such a charge if two or more parties were in on the plan. Even if the parties involved never went through with the committing the fraud, they can still face conviction and penalties identical to if they committed the actual crime. In large-scale conspiracy cases, it is not rare for there to be alleged co-conspirators who never once communicated or seen each other until their day in court. In such cases, those who may have played a comparatively minor role can face the same charges as those who allegedly had a more significant role in the fraud. Probably the most considerable disadvantage of the prosecution presenting conspiracy charges in a fraud case is that it allows them to introduce evidence that, otherwise, may have been inadmissible. Federal crime attorney Brice Aikens with The Umansky Law Firm is the man you want on the case. Aikens is a Board Certified Criminal Trial Lawyer who commits his time and effort to freeing the accused from the grips of the legal system. 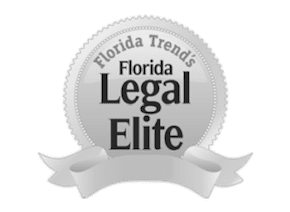 With an extensive history of defending against criminal offenses, you can find comfort in the fact that your fraud conspiracy case is in the hands of a seasoned legal professional. With over 100 years of experience combined, our driven attorneys will do everything in their power to help you. Everyone deserves a second chance. Contact us today for a free case evaluation.